The Ranch Style modular home, also known as the rancher or the rambler, originated here in the United States and is known for its short stature and minimal exterior decoration. It is typically only one story tall and is usually either an asymmetrical rectangle or an ‘L’ shape. Ranch modular homes are generally found in warmer areas as their iconic short roofs aren’t very good at dealing with a heavy snowfall. If you like the ranch style, but would like to build in a colder climate, adding a steeper roof to your prefab house is an easy fix. Thanks to their simple design, Ranches tend to be fairly inexpensive to build. A big plus for ranch style homes is that they’re easy to add modular additions or even a second story to once the home has already been built. Check out the ranch modular home floor plans in our database. A Two-Story Style modular home is exactly what it sounds like, a house with two above-ground stories. 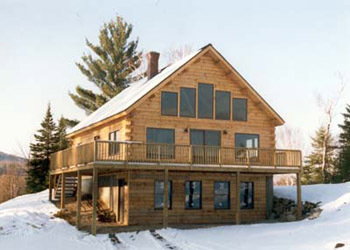 While other styles often have second stories, a Two-Story style home will not fit the look of other styles, making it uniquely its own. Typically, communal rooms like the kitchen, living room, and dining room can be found on the bottom floor while bedrooms are on the top floor. This design is perfect for a growing family on a smaller piece of land. Building up takes less space than building out! Check out the two story modular home floor plans in our database. Chalet Style modular homes take inspiration from Swiss alpine houses and are ideally suited for colder, snowier climates. They commonly have high, pointed roofs tilted at extreme angles to prevent too much heavy snow from building up. Another common feature is the size of the windows. Usually a chalet style home will have extremely large windows to allow as much light in as possible. This not only brightens the house and provides amazing views, but by increasing the amount of direct sunlight also makes heating the house much easier. Check out the chalet style modular home floor plans in our database. The Cape Cod Style modular home is common in colder climates and is most popular in the Northeast where it originated. Usually an affordable option with one or two stories, the style features an exterior usually covered with shingles, windows with shutters, and dormers (horizontal windows that stick out of an otherwise sloped roof). Due to the sharply sloped roof, Cape Cods will often have an attic for extra storage space or even an additional floor. 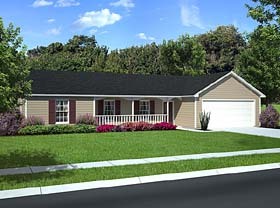 Check out the cape cod modular home floor plans in our database. Found most often in the southern states, Colonial Style modular homes are easily recognizable by their size and great white columns. Most have front porches, and many have porches that wrap the whole way around the house. These homes stand tall and inviting, at least 2 stories high. They are a good choice when you have a sizable plot of land and want a more spacious prefab home. 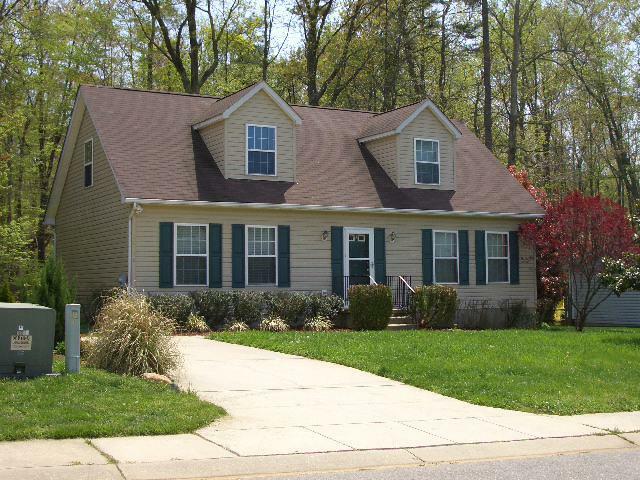 Check out the colonial style modular home floor plans in our database. Gone are the days of the cookie-cutter modular homes of the 1950’s. Modern Style modular homes shatter the claim that prefab can’t be built to look cutting-edge. Often custom built, modern home manufacturers offer the most amount of customization of any style because they have no set style. Building with steel frames instead of wood means that entire walls or ceilings can be replaced by windows, rooms can be much larger, and you can build up and out to your heart’s content. Check out the modern modular home floor plans in our database. Mansion modular homes are really more of a size difference than a style distinction. With modular building becoming ever more advanced and intricate, size concerns that used to come up when building modular are now no longer an issue. In fact, the largest modular homes are the ones that offer the greatest savings over their site-built equivalents. Check out the mansion modular home floor plans in out database. Like Mansion homes, “Green Modular Homes” isn’t really a separate style. Because of the way that they’re built, all modular homes are more “green” than their site-built counterparts. 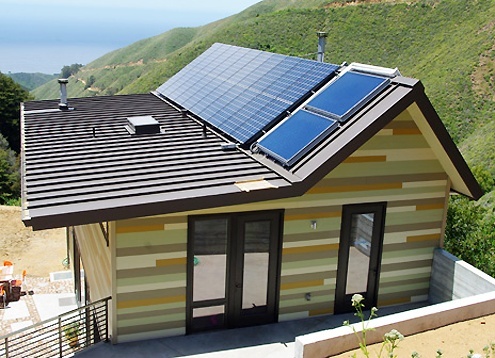 Green technology like solar panels can be added to most houses. Certain modular designs lend themselves more readily to energy-efficiency, and if this is an important factor to you, you can bring it up with manufacturers to see what options they can offer. Check out the green modular home floor plans in our database.